Vitamin B12 deficiency anemia is a low red blood cell count due to a lack of vitamin B12. Iron is an important building block for red blood cells. 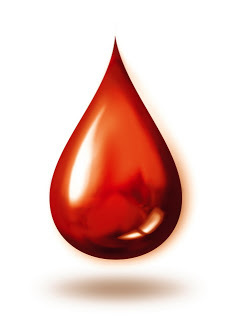 When your body does not have enough iron, it will make fewer red blood cells or red blood cells that are too small. This is called iron deficiency anemia. Anemia of chronic disease is anemia that is found in people with certain long-term (chronic) medical conditions. Long-term infections, such as bacterial endocarditis, osteomyelitis (bone infection), HIV/AIDS, hepatitis B or hepatitis C.
Normally, red blood cells last for about 120 days before the body gets rid of them. In hemolytic anemia, red blood cells in the blood are destroyed earlier than normal. Idiopathic aplastic anemia is a condition in which the bone marrow fails to properly make blood cells. Bone marrow is the soft, fatty tissue in the center of bones. Symptoms are the result of bone marrow failure and the loss of blood cell production. Pernicious anemia is a decrease in red blood cells that occurs when your intestines cannot properly absorb vitamin B12. Sickle cell anemia is a disease passed down through families in which red blood cells form an abnormal sickle or crescent shape. Red blood cells carry oxygen to the body and are normally shaped like a disc. Thalassemia is a blood disorder passed down through families (inherited) in which the body makes an abnormal form of hemoglobin, the protein in red blood cells that carries oxygen. The disorder results in excessive destruction of red blood cells, which leads to anemia. Children born with thalessemia major (Cooley's anemia) are normal at birth, but develop severe anemia during the first year of life. 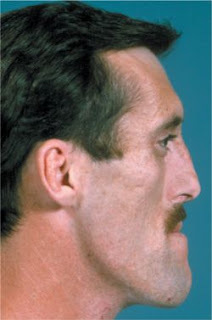 Acromegaly is a syndrome that results when the anterior pituitary gland produces excess growth hormone (GH) after epiphyseal plate closure at puberty. The term acromegaly comes from Greek words meaning “extremities” and “enlargement.” Acromegaly occurs in about 6 of every 100,000 adults. In the United States, the condition is newly diagnosed in about 3-4 people per million per year. About 1 person per 20,000 is estimated to have acromegaly. Increased palmar sweating and sebum production over the face (seborrhea) are clinical indicators of active growth hormone (GH) producing pituitary tumors. These symptoms can also be used to monitor the activity of the tumor after surgery although biochemical monitoring is confirmatory. 1. 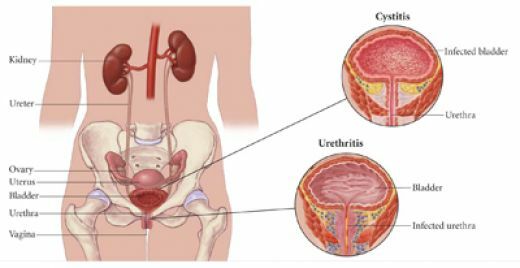 Acute Pain related to inflammation and infection of the urethra, bladder and other urinary tract structures. Goal: Pain is reduced / lost, the spasms can be controlled. Expected outcomes: client reported no pain on urination, no pain in the suprapubic region. 1. Monitor urine color changes, monitor the voiding pattern, input and output every 8 hours and monitor the results of urinalysis repeated. 2. Note the location, time intensity scale (1-10) pain. Rationale: To help evaluate the place of obstruction and cause pain. 3. Provide convenient measures, such as massage. Rationale: Increase relaxation, reduce muscle tension. Rational: To prevent contamination of the urethra. 5. If using a catheter, catheter treatment 2 times per day. Rationale: The catheter provides a way for bacteria to enter the bladder and urinary tract up to. 6. Divert attention to the fun. Rationale: Relaxation, avoid too feel the pain. Rational: to control the pain. 2. Impaired Urinary Elimination related to frequent urination, urgency, and hesitancy. Goal: improve urinary elimination pattern. Expected outcomes: clients reported a reduction in frequency (frequent urination), urgency, and hesistensi. 1. Assess the patient's pattern of elimination. Rationale: as a basis for determining interventions. 2. Encourage the patient to drink as much as possible and reduce drinking in the afternoon. 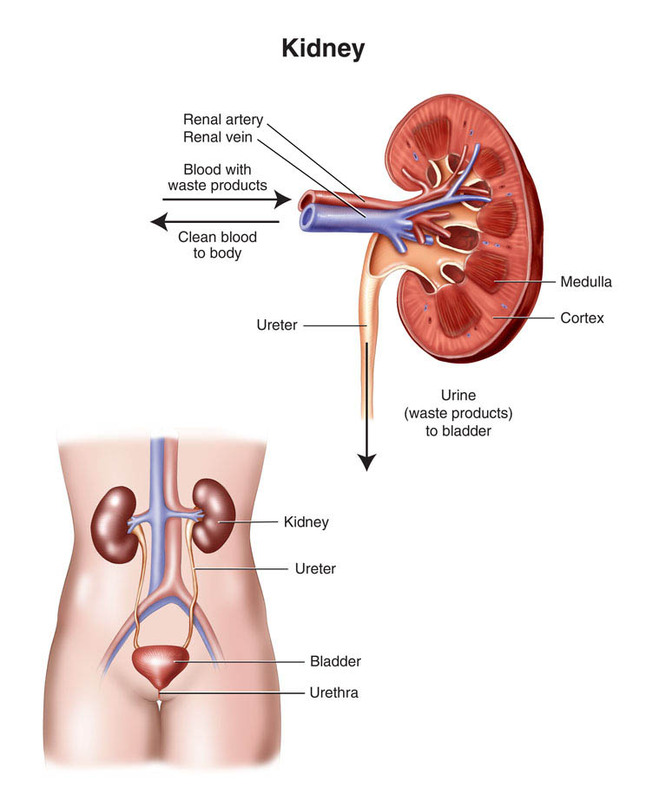 Rationale: To support the renal blood flow and to flush bacteria from the urinary tract. The liquid that can irritate the bladder (eg, coffee, tea, alcohol) is avoided. In order not to wake up frequently at night to urinate. 3. Encourage the patient to urinate every 2-3 hours and when it suddenly felt. Rationale: Because it significantly lowers the number of bacteria in the urine, reduced urine status and prevent recurrence of infection. 4. Prepare / encouragement do perineal care every day. Rationale: Reduce the risk of contamination / infection increased. 3. Disturbed Sleep Pattern related to pain and nocturia. Goal: to improve sleep patterns. Expected outcomes: clients reported being able to sleep, clients seem fresh. 1. Determine the usual sleeping habits and changes. Rationale: Assess and identify appropriate interventions. 2. Provide a comfortable bed. Rationale: Improve sleeping comfort and support of physiological / psychological. 3. Increase comfort bedtime regimen, for example, a warm bath and a massage, a glass of warm milk. Rationale: Increases the effect of relaxation. Note: The milk has sopofik quality, boost the synthesis of serotonin, a neurotransmitter that helps patients and sleep longer. 4. Reduce noise and light. Rationale: Provide a situation conducive to sleep. 4. Hyperthermia related to the reaction to iflamation. Goal: body temperature back to normal. Expected outcomes: client reported no fever, no palpable heat, vital signs within normal limits. 1. Assess any complaints or signs of increased body temperature changes. Rationale: Increased body temperature will shows a variety of symptoms such as red eyes and the body feels warm. 2. Observation of vital signs, especially temperature, as indicated. 3. Warm water compress on the forehead and both axilla. Rationale: To stimulate the hypothalamus to the temperature control center. 4. Collaboration of antipyretic drugs. 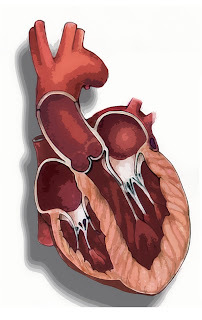 Heart failure or congestive heart failure occurs when the heart is unable to provide sufficient pump action to distribute blood flow to meet the needs of the body. Heart failure can be caused by coronary artery disease, heart attack, cardiomyopathy, and high blood pressure. Heart failure treatment includes exercise, dietary changes, medicines, and rarely surgery. Increased heart rate (tachycardia): dysrhythmias, changes in ECG pattern picture. Changes in blood pressure (hypotension / hypertension). Extra sound (S3 and S4). Peripheral pulse was not palpable. Orthopnea, krakles, liver enlargement, edema and chest pain. Showed vital signs within acceptable limits (dysrhythmias can be in control or lost) and free of heart failure symptoms. Reported a reduction in episodes of dyspnea, angina. Participate in activities that reduce the heart's workload. 1. Auscultation apical pulse; examine the frequency, heart rhythm. Rational: Usually tachycardia (although at rest) to compensate for decreased ventricular contractility. Rational: S1 and S2 may be weak due to reduced pumping work. Common Gallop rhythm (S3 and S4). Murmurs can indicate incompetence / stenosis. Rationale: Decreased cardiac output may indicate decreased radial artery, popliteal, dorsalis, pedis and posttibial. Pulse may disappear fast or irregular to palpation and pulse alternan. Rationale: In chronic heart failure early, moderate or chronic, blood pressure may rise. In advanced CHF, the body can no longer compensate and hypotension can not be normal again. 5. Assess the pale skin and cyanosis. Rational: Pale indicating reduced peripheral perfusion secondary to inadequate cardiac output; vasoconstriction and anemia. Areas affected often blue or striped because of increased venous congestion. Rationale: Increase dosage myocardial oxygen to the need to counter the effects of hypoxia / ischemia. Many drugs can be used to improve contractility and reduce congestion. Typhoid fever is a bacterial disease, caused by Salmonella typhi. It is transmitted through the ingestion of food or drink contaminated by the faeces or urine of infected people. Salmonella Typhi lives only in humans. Persons with typhoid fever carry the bacteria in their bloodstream and intestinal tract. In addition, a small number of persons, called carriers, recover from typhoid fever but continue to carry the bacteria. Both ill persons and carriers shed Salmonella Typhi in their feces (stool). Typhoid fever can also be caused by Salmonella paratyphi, a related bacterium that usually leads to a less severe illness. 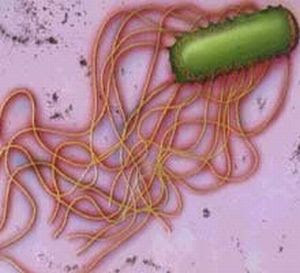 The bacteria are deposited in water or food by a human carrier and are then spread to other people in the area. Typhoid fever is rare in industrial countries but continues to be a significant public-health issue in developing countries. Other symptoms that occur include : Abdominal tenderness, Agitation, Bloody stools, Chills, Confusion, Difficulty paying attention (attention deficit), Delirium, Fluctuating mood, Hallucinations, Nosebleeds, Severe fatigue, Slow, sluggish, lethargic feeling, weakness. Fluids and electrolytes may be given through a vein (intravenously), or you may be asked to drink uncontaminated water with electrolyte packets. Appropriate antibiotics are given to kill the bacteria. There are increasing rates of antibiotic resistance throughout the world, so your health care provider will check current recommendations before choosing an antibiotic. related to: the imbalance of oxygen supply to the needs, dyspnea. related to the inflammatory process typhi salmonella germs. 3. Acute Pain related to the inflammatory process. 4. Disturbed Sleep Pattern related to pain, fever. 5. Imbalanced Nutrition, Less Than Body Requirements related to inadequate intake. 6. Risk for Fluid Volume Deficit related to inadequate intake and increased body temperature. 7. Altered Bowel Elimination related to constipation. 8. Disturbed Sensory Perception : Visual. related to loss of consciousness. 9. Impaired Physical Mobility related to intake of weakness. 10. Self-Care Deficit : Bathing / Hygiene related to weakness. 11. Anxiety: parents related to lack of knowledge about the disease and the child's condition. Some of the symptoms associated with hepatitis C can cause pain. People with hepatitis C may experience episodes of abdominal pain. Pain or soreness on the right side just below the ribs could be from the liver. The pain may come and go, or, for a few patients, it may persist. This sort of pain may be caused by a stretching of the outer edge of the liver, but it does not mean the hepatitis C is worsening. People with hepatitis C may experience muscle and joint pain. Common sites of joint pain are the hips, knees, fingers, and spine, although any joint can be a source of pain. Pain associated with hepatitis C can move around and come and go. Aches and pains in the muscles are usually experienced as a generalised feeling. However, some people report having pain in only one area of the body. If there is abdominal pain due to hepatitis C, treating the hepatitis C with pegylated interferon and ribavirin will not necessarily change any abdominal pain which is experienced. The treatment of hepatitis C is not expected to better, worsen or have any effect on abdominal pain. Some people find benefit in complementary and alternative therapies, such as herbal products or massage. It is best to be advised by a qualified complementary/alternative professional about any therapies or products that could be useful. If you pursue complementary and alternative therapies it is important that you tell your liver specialist and GP of any therapies that you have recently used, are using, or plan to use. client complains of pain when pressed on the upper right quadrant. client wince when in press the upper quadrant of the abdomen. there is enlargement of the right upper quadrant of the abdomen. After nursing actions for 3x24 hours, the pain resolved. pain scale was reduced to 2. Observation of vital signs every 6 hours. Train client relaxation techniques with a deep breath. Adjust the position of the client as comfortable as possible and stick to bed rest when patients have impaired comfort to the abdomen. Divert attention to the client's pain to talk, read newspapers. Collaboration with physicians for providing analgesic. To determine the patient's general condition. To know the state of pain that feels. Relaxation techniques with deep breathing relaxation can lessen pain. Reduce muscle tension, reduce metabolic needs and protect the liver. Reduce gastrointestital instability and pain and comfort to the abdominal disorders. Tinnitus is a ringing, swishing, or other type of noise that seems to originate in the ear or head. Sometimes the noise pulsates at the same rate as your pulse. Tinnitus can be either constant or come and go. It can vary in loudness and character from time to time. According to the National Institute on Deafness and Other Communication Disorders (NIDCD), almost 12 percent of men who are 65 to 74 years of age are affected by tinnitus. In many cases it is not a serious problem, but rather a nuisance that eventually resolves. Rarely, however, tinnitus can represent a serious health condition. Tinnitus can arise in any of the four sections of the hearing system: the outer ear, the middle ear, the inner ear, and the brain. Some tinnitus or "head noise" is normal. knowledge of the disease increases. Assess the level of anxiety / fear. Assess the client's level of knowledge about the disorder. Assure the client that the disease can be cured. Encourage clients to relax and avoid stress. Assess the level of difficulty sleeping. Collaboration in sedation / sleep medications. Encourage clients to adapt to the disorder. Risk of damage can minimize social interaction. Assess how severe the hearing loss in the client experience. If possible, help clients understand nonverbal communication. Encourage clients with hearing aids every in need if available. Impetigo is a skin infection caused by bacteria. It causes red sores that can break open, ooze fluid, and develop a yellow-brown crust. Usually the cause is staphylococcal (staph) but sometimes streptococcus (strep) can cause it, too. It's very common and affects mainly children. These sores can occur anywhere on the body but most often appear around the mouth and nose. On the skin, especially around the nose or mouth. 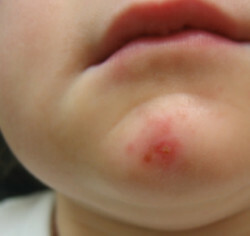 The sores begin as small red spots, then change to blisters that eventually break open. The sores are generally not painful, but they may be itchy. That ooze fluid and look crusty. Sores often look like they have been coated with honey or brown sugar. No injuries or lesions on the skin. Able to protect skin and keep skin moist and natural treatments. 1. Keep clean skin, to keep them clean and dry. Rational: the skin clean and dry, will reduce the spread or proliferation of bacteria. 2. Instruct the patient to use, loose clothing. Rational: a loose shirt, shirt will reduce friction on the skin lesions. 3. Monitor skin color, the existence of redness. Rational: to know the progression of the disease and the effectiveness of actions taken. 4. Cut nails and keep the client's hand hygiene. Rational: the nail that will reduce the short and avoid scratching the impetigo lesion severity. 5. Bathe the patient with warm water and soap (antiseptic). R: warm water will kill bacteria and reduce the rash. Anti-septic soap can reduce or kill the bacteria on the skin. 6. Give the knowledge of the client not to scratch the wound. Rational: the knowledge of patients on the treatment process can accelerate the success of the nursing process. 7. Collaboration for the administration of topical antibiotics on the client. Rational: topical antibiotic may discontinue or inhibit the growth of bacteria. Surgical treatment has been available for about 45 years. The first operation for this disease was the fenestration procedure, which required mastoid surgery and an artificial opening in another part of the inner ear. 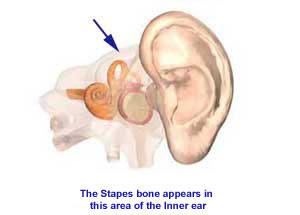 The attention of the ear surgeons then became focused on the diseased stapes itself and the stapes mobilization procedure was developed. With the improvement in surgical technique, the treatment of choice then became the stapedectomy. This operation was first performed in 1956. 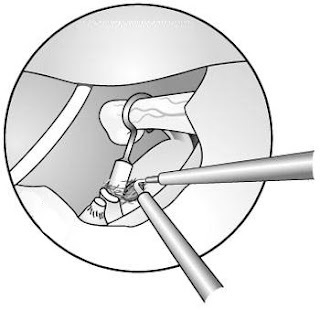 The stapedectomy operation involves the removal of the diseased bone and its replacement with an artificial substitute. Local or general anesthesia is used. The surgery usually takes place entirely through the ear canal so that no outer incisions are made. related to decreased sensory reception. related to loss of facial muscle control. related to the suppression of bone mass in the ear. related to changes in body function. related to the crisis situation. related to not know the information. related to an incision in the skin of the ear tissue. related to extensive ear surgery. related to changes in the skin barrier in the presence of scar tissue. related to tissue damage secondary to ear surgery. 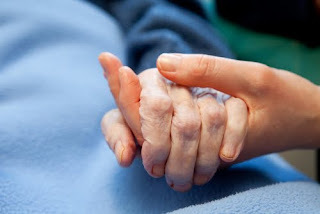 Only one key is needed in caring for stroke patients in the home, with extraordinary patience. Why is it amazing? Because, with patience levels are normal, not be able to provide good care. It should be understood that the stroke patient, emotionally experiencing deterioration of the situation themselves. Previously, they could go even run, can speak to sing, can feed themselves as they pleased, and now all the circumstances that changed, becoming dependent on others so that the patient feels generally useless maybe even to depression. 1. Care of stroke patients should be more than one, so that the work can be divided. 2. Select rooms are close to the bathroom, dining room, or kitchen. 3. Arrange furniture or equipment that is easy to use by the patient. 4. Ensure high bed of the patient, in accordance with the activities of daily care and use leak-proof layer between the mattress and sheets. 5. Create an atmosphere of calm and pleasant. Avoid talking about the inability of the patient. Do not force the patient to do something. We recommend using the advice or persuasion. 6. Help patients to take care of themselves, the extent to which that can be done, encourage the patient to take responsibility for training activities undertaken. 8. Do not assume that the patient can not use his mind. Keep the same relationship as before he suffered a stroke. 9. Help the patient to maintain a relationship with the outside world and other people just like before the patient suffered a stroke. 10. 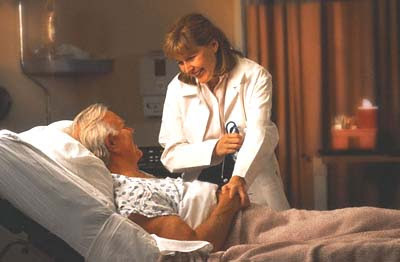 Frequently invite the patient to get out of bed, and if the patient is not able, take a seat while eating food. If at all possible, help with frequently turned to prevent pressure sores. 11. If possible, help patients move in his own abilities. Gout is a metabolic disorder that is due to abnormal metabolism of purines, a constituent of many foods. Gout occurs with the buildup of uric acid in the joints and kidneys. Essentially what happens is that the excretion of uric acid, which is the product of purine metabolism, does not keep pace with uric acid production. As a result there is abnormal accumulation of uric acid. As such it was also known as "The disease of the kings". This situation is observed in cases where the kidneys become impaired and are incapable of excreting uric acid from the body in the normal way. The excess uric acid present in blood in such situations precipitates in the tissues. Food and drinks that mostly contribute to gout attacks include seafood, red meat, organ meat, high-fructose corn syrup, sugar-sweetened items that are usually popular during the holidays and beer and liquor. The typical early manifestations of gout are acute episodes of painful swollen joints. The usual sites of the first attacks are the big toe, the foot, and the ankle. If gout is not treated, uric acid accumulation worsens and other joints become inflamed and attacks become more frequent and debilitating. Besides being excruciatingly painful, the attacks also cause damage to joints and to internal organs such as the kidneys. In the middle of the night, if you suddenly experience intolerable pain in any of your joints accompanied by inflammation, redness and stiffness of the joint, then you are experiencing a gout attack. Sometimes high fever may also be observed along with a gout attack. The skin surrounding the gout affected joint tends to peel off. Small pressure on the joint may aggravate the excruciating pain. As such walking or even standing up becomes an arduous task. A number of studies have now identified the major contributing factors to gout. These include obesity, alcohol (especially beer), red meat, shellfish, and fructose containing beverages. The latter include both soft drinks as well as processed fruit juices. Allopurinol is the pharmaceutical drug of choice used in long-term prevention of gout and decreases the body's production of uric acid. People experiencing gout attacks should, however, avoid medications containing aspirin as these can make gout worse. Pain relievers such as paracetamol or other more powerful analgesics, are often used to manage the pain. Anti-inflammatories, such as non-steroidal anti-inflammatory drugs (NSAIDs), are used to decrease joint inflammation and reduce the pain. If NSAIDs cannot be given because of an ulcer, your doctor may use colchicine may be used to settle an attack. I have found the homeopathic colchicines (30c) can be very useful for the gout patient instead of this drug. Do you take a "water tablet" or a diuretic? Pharmaceutical diuretics may cause gout in people who are genetically predisposed to gout by increasing the accumulation of uric acid within the body. 1. Provide a comfortable position, joint pain (leg) rested and given bearing. Rest can reduce local metabolism and reduce joint movement occurs. 2. Give warm or cold compresses can provide vasodilating effects, both have the effect of helping expenditure endorphins and cold can inhibit pain impulses. 3. Prevent to avoid irritation, such as avoiding the use of a narrow shoe, tripping over a hard object. If irritation persists it will be more painful, so take care if there is a sterile wound and drain care also attached to the wound. 4. Give the drugs according to the prescription and observe the side effects of these drugs. 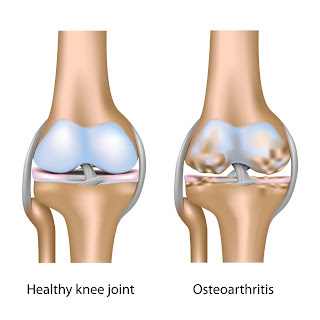 Osteoarthritis is the most common form of arthritis. 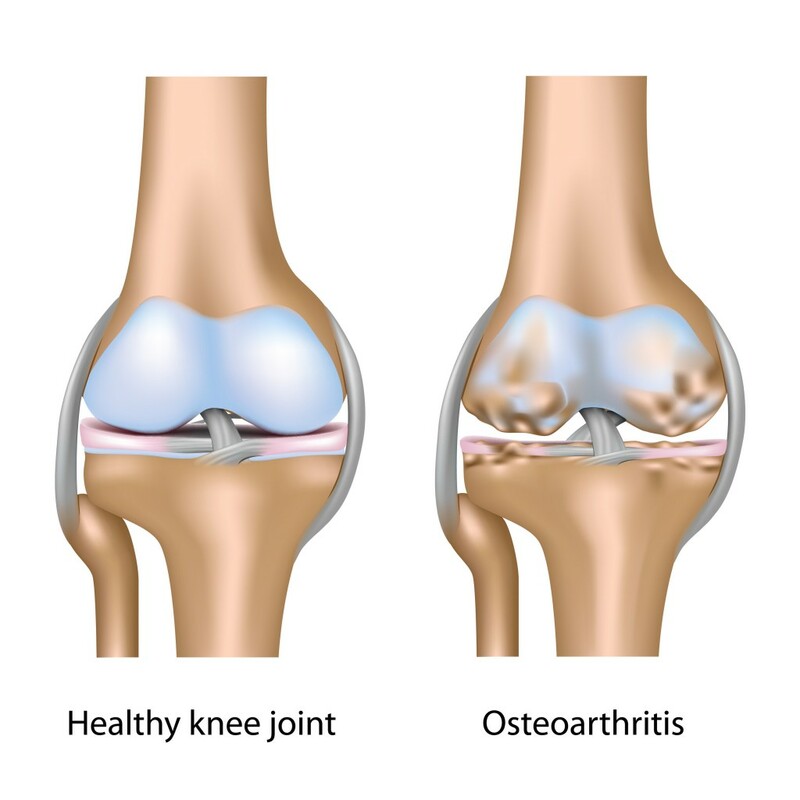 Osteoarthritis is a joint disease that most often affects middle-age to elderly people. It causes pain, swelling, and reduced motion in the joints. It can occur in any joint, but usually it affects the hands, knees, hips or spine. Most often doctors detect OA based on the typical symptoms (described earlier) and on results of the physical exam. In some cases, X-rays or other imaging tests may be useful to tell the extent of disease or to help rule out other joint problems. 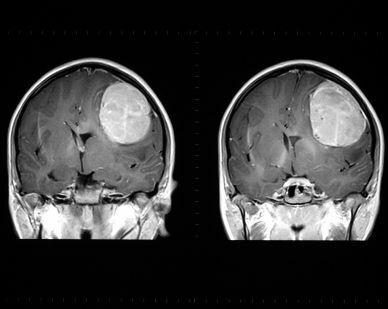 A brain tumor is an abnormal growth of cells within the brain, which can be cancerous or non-cancerous (benign). Brain tumors can be grouped by the type of cell involved (such as meningioma, astrocytoma, lymphoma, etc.) or by the location in the brain. Metastasized cells may grow in one or several areas of the brain. Almost half of all brain tumors are non-cancerous (benign), slow growing and respond well to treatment. A primary malignant brain tumour is a cancer which arises from a cell within the brain. The cells of the tumour grow into and damage normal brain tissue. Also, like benign brain tumours, they can increase the pressure inside the skull. However, unlike most other types of malignant tumours, primary brain tumours rarely spread (metastasise) to other parts of the body. A secondary malignant brain tumour means that a cancer which started in another part of the body has spread to the brain. Many types of cancer can spread (metastasise) to the brain. The most common types that do this are cancers of the breast, lung, colon, kidney and skin (melanoma). A tumor pressing on or encroaching on other parts of your brain and keeping them from functioning normally. Swelling in the brain caused by the tumor or surrounding inflammation. The symptoms of primary and metastatic brain cancers are similar. When possible, brain tumors are removed through surgery. While many can be removed with little or no damage to the brain, others are located where surgical removal is difficult or impossible without destroying critical parts of the brain. Brain damage caused by surgery can lead to partial paralysis, changes in sensation (feeling), weakness and poor thinking. Even so, removing a tumor is necessary when it threatens important brain structures. Even when it can't cure a malignancy, surgery can help reduce the size of the tumor, ease symptoms and help determine the type of tumor and best treatment. Prepare psychologically for children and parents to act procedures that cause pain. 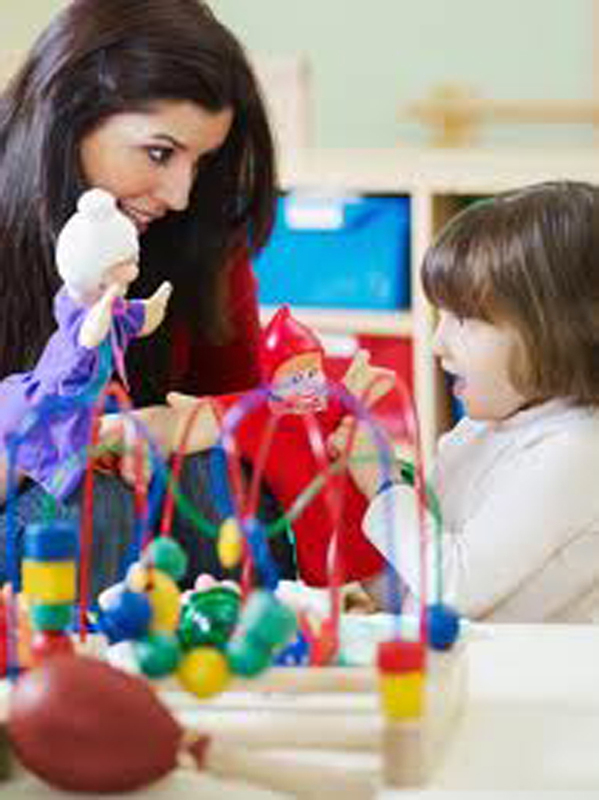 In elective action whenever possible actions performed by telling stories, pictures. Need to do a psychological assessment of the child's ability to receive this information openly. Prepare the treatment room according to the stage of the child's age. Introduce the patient to another. Natural way for children to express the conflict within him unconscious. Activities carried out in accordance with his own wishes to obtain pleasure. To be able to resume normal growth and development during hospitalization. To express their thoughts and feelings and fantasies through the game. 1. Assess the depth of breathing frequency. R / to evaluate the degree of respiratory distress or respiratory disease process. 2. Elevate head of bed, help patients choose a position that is easy to breathe, encourage the patient to deep breathing, or mouth breathing. R / oxygen delivery can be improved with a high seating position and breathing exercises to reduce airway collapse. 3. Auscultation of breath sounds, defect area decreased airflow / noise addition, (crackles, wheezing, dim). R / breath sounds may be dim due to reduced air flow, indicates the presence of wheezing bronchospasm. R / vibration reduction suspected fluid collection. 5. Evaluation of the level of activity tolerance. 6. Monitor vital signs and cardiac rhythm. R / tachycardia and changes in blood pressure that may indicate the existence of systemic hypoxemia on cardiac function. R / PaCO2 usually increases (bronchitis, emphysema) and PaCO2 generally decreased, resulting in hypoxia. 8. Give supplemental oxygen in accordance degan indicative of the results of blood gas analysis and patient tolerance. 9. Assist patients in intubation, provide / maintain mechanical ventilation. R / occurrence of respiratory failure that requires rescue efforts will come alive. Goal: patients exhibit achieve airway clearance. 1. Auscultation of breath sounds, record the presence of breath sounds, eg wheezing, crackles. 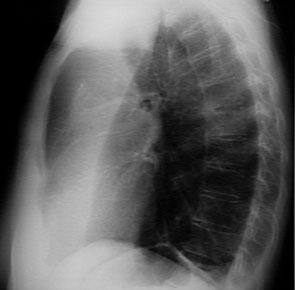 R / some degree of bronchial spasms occur with airway obstruction and there adventisius breath. R / breathing shallow and asymmetrical chest movements often occur because of discomfort chest wall movement / lung fluid. 3. Give fluids at least 2500 ml / day, unless contraindicated, offer warm water. R / cyanosis nails shows the vasoconstriction, cyanosis of mucous membranes and the skin around the mouth indicates systemic hypoxemia. R / humidity decrease the viscosity of secretions and facilitate secret spending. Amyloidosis / associated with chronic diseases such as tuberculosis, chronic osteomiliti, lung abscess, ulcerative colitis and neoplasms. Proteinurin to congestive heart disease. In nephrotic syndrome, type III hypersensitivity reaction occurs in which the immune complex precipitated in the tissue. Activation of the complement system also stimulates vaksoaktive amines (including histamine) and this substance causes retraction of endothelial cells thus increasing vascular permeability. Changes in membrane glomerolus, causing increased permeability, allowing the proteins (especially albumin) out through the urine (proteinurine). Decreased oncotic pressure causing albumin moves from intra vascular space into interstitiel. Transfer of proteins to the interstitial cavity causing lipoproteinemia. It stimulates the liver to compensate by increasing the production of lipoproteins and increased concentrations of blood fats (hyperlipidemia). When the liver is not able to compensate for damage in fat and protein metabolism. Transfer of protein exit the vascular system, causing fluid to move into the space plasma interstitisel resulting edema and hypovolemia. Decrease in vascular volume stimulates renin angiotensin system, which allows the secretion of aldosterone and antidiuretic hormone (ADH). Aldosterone stimulates increased reabsorsi distal tubules of the sodium and water, leading to increased edema. Urinary System (oliguric, urine retention, proteinurin and urine discoloration). Impaired Urinary Elimination related to Na and water retention. 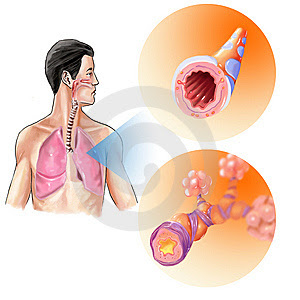 Bronchitis is a pulmonary disease caused by the onset of inflammation in the bronchial tubes, which are the air passages into the lungs. It causes a cough that often brings up mucus, as well as shortness of breath, wheezing, and chest tightness. There are two main types of bronchitis: acute and chronic. Acute bronchitis often occurs after a cold or the flu, as the result of bacterial infection, or from constant irritation of the bronchi by polluted air or chemical fumes in the environment. It is characterized by a slight fever that may last for a few days to weeks, and is often accompanied by a cough that may persist for several weeks. Acute bronchitis, symptoms usually resolve within 7 to 10 days, however, a dry, hacking cough can linger for several weeks. Chronic bronchitis, also known as chronic obstructive pulmonary disease or COPD. As the condition gets worse, the affected person becomes increasingly short of breath, has difficulty with physical exertion, and may require supplemental oxygen. It may include fever, nasal congestion, and a hacking cough that can linger for months at a time. related to: increased production of secretions. related to: the inflammation of the pleura. related to: airway obstruction by secretions, spasm of the bronchus. related to: dyspnoea, anorexia, nausea, vomiting. related to: the settlement of secretions, chronic disease processes. related to: insufficiency of ventilation and oxygenation. related to: changes in health status. related to: the lack of information about the disease process and treatment at home.